Conversion of 1910 Heritage home with 4 units in total. Quality built with style using the best of finishing products - Hardwood, granite, crown mouldings, wooden 2" blinds, Kitchen Island and Stainless Steel appliances. Also featuresoverheight ceilings and great-room concept. A sound barrier has been built between suites and the exterior is finished in long-lasting hardy plank using Vancouver's Heritage colours. 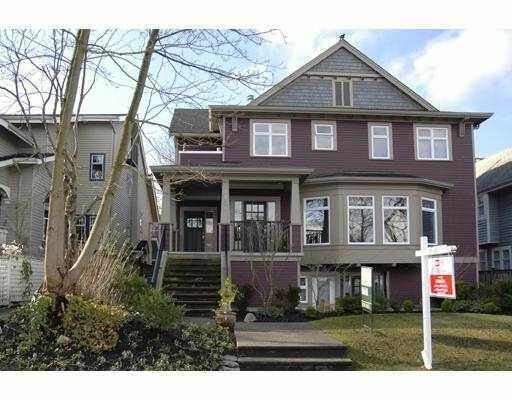 Not to be missed, this is a beautiful home on a quiet tree-lined Street in Kitsilano.